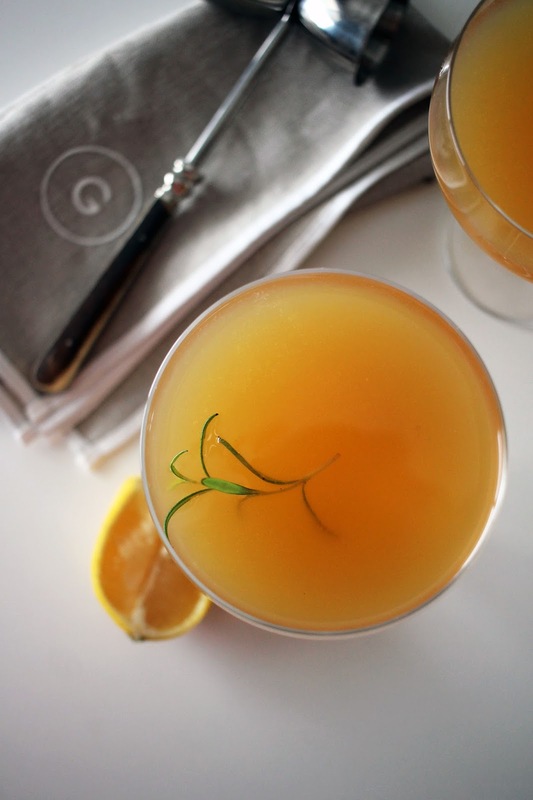 Snowy weekends call for a warming cocktail, and this one does the trick. 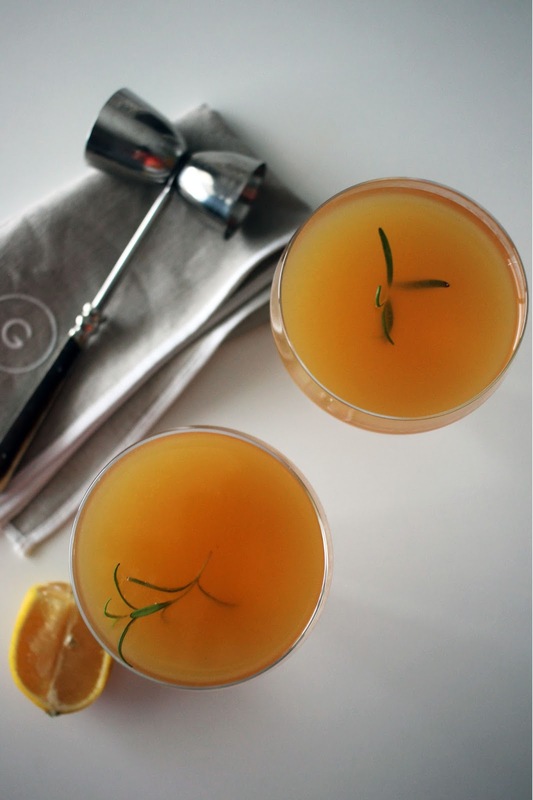 We started making this, this fall when cider was abundant at the grocery store. 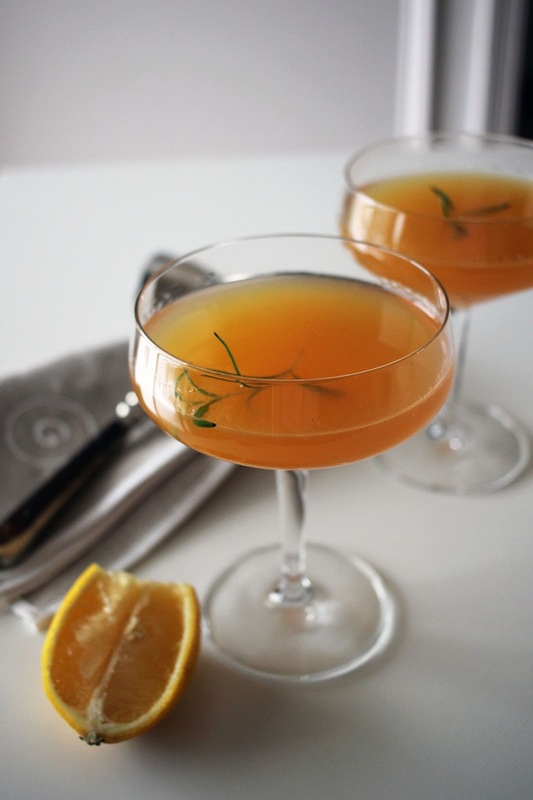 The cider still feels festive during the winter, and a kick from the grapefruit and gin gives the drink a little punch. We enjoyed this Saturday afternoon, when the snow was supposed to stop falling, but kept going through the earlier evening. What was a beautiful snow has now turned grey and lost it magically qualities, but I still have this cocktail to remember the day by. For the simple syrup, combine 1 ounce water and 2 tablespoons of sugar. Place in microwave, covered, until sugar dissolves. Add 2-3 rosemary sprigs and steep overnight. Discard rosemary when ready to use. 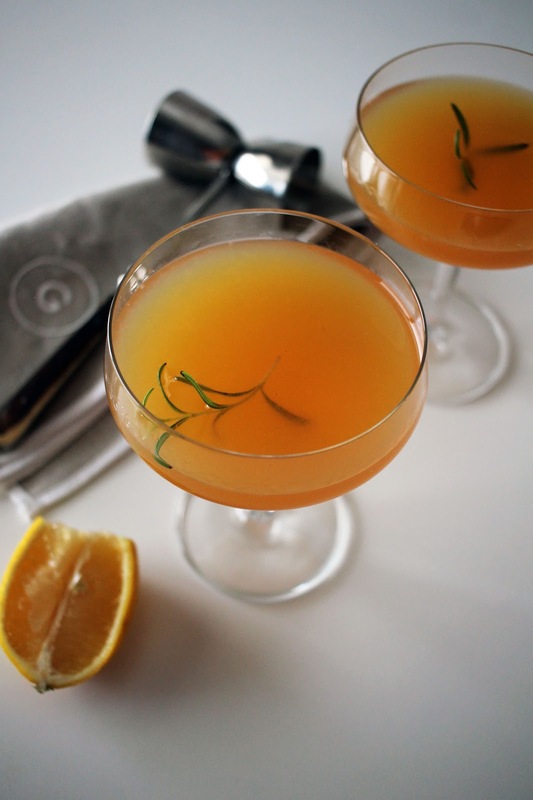 Combine gin, cider, simple syrup, and grapefruit juice in a cocktail shaker filled with ice. Shake until shaker has frosted over. 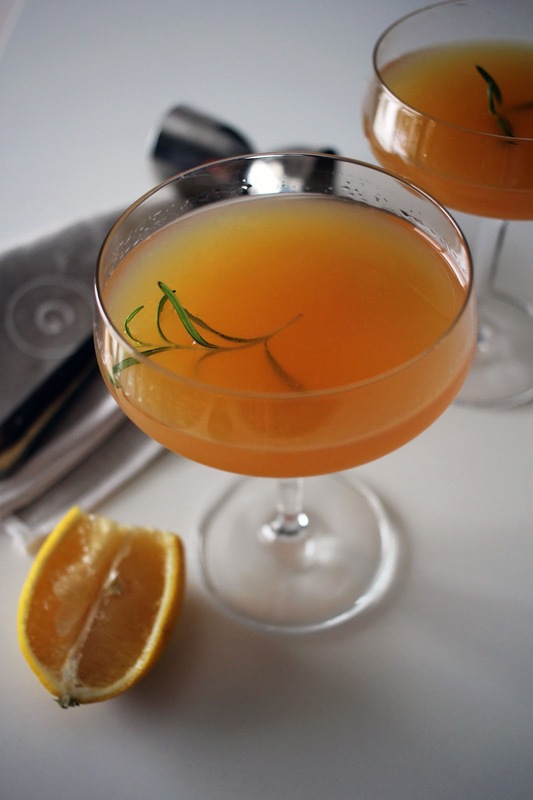 Pour in to two coupe glasses and garnish with rosemary. Mixed drink is a fortifying alcohol made out of spirits of any sort, sugar, water, and sharp flavoring — it is disgustingly called a Gin Distillery and should be a great electioneering elixir, in light of the fact that it renders the heart heavy and strong, while it confuses the head.